Dropprice is having a promotion for the 2015 STRIDER 12 Classic bike. It will end up being up to 30% off plus free shipping anywhere in the US! Check out how it works below. Here’s how it works- moms can visit the link and click to “drop the price” of the 2015 STRIDER 12 Classic bike. It started out at $99 and for each mom (or anyone) that clicks, the price drops a bit. The price will continue to drop for each mom that participates until it reaches 30% off. Participants have the option to share on social media to get more moms to participate, or they can “buy now” for whatever price the item has been dropped to at that time. This is such a fun and exciting way for moms to save lots of money by collaborating with each other. 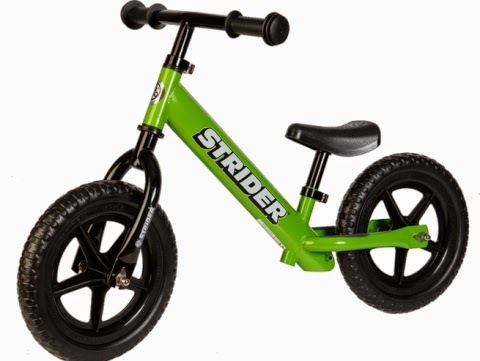 I love the Strider bikes ! They are easy for the little ones to learn on.